Mary Kate Selby from Skippack, PA, is a graduate of DeSales University where she received a BA in Dance and a minor in Business Administration. She has studied Ballet, Modern, Jazz, African, Hip-hop and Irish dance, but Tap has always had a special place in her heart. 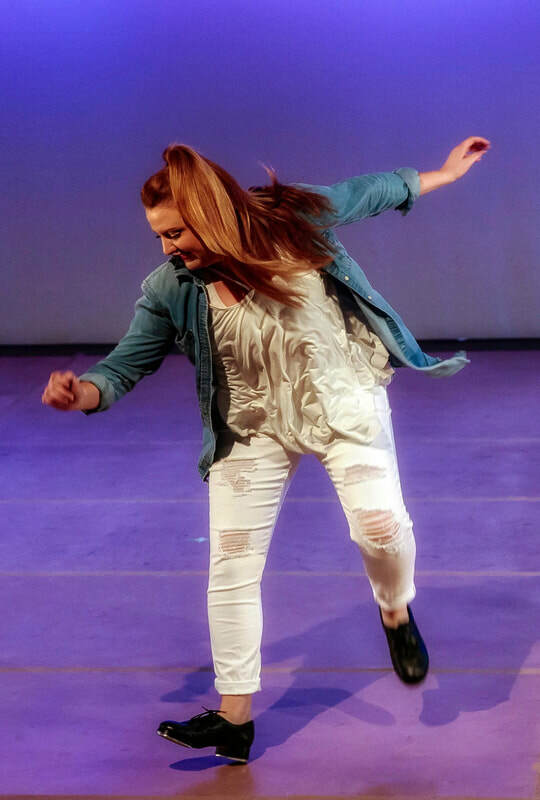 As a student, Mary Kate performed and choreographed for various DeSales University productions and American College Dance Association Conferences. She was a member of and choreographer for the DeSales Traveling Performance Company and has performed in multiple Philly Fringe Festivals. Professionally, her work has been presented in The Koresh Artist Showcase, The Edge Performance Series, Ten Tiny Dances, and has been set on X-Tensions Dance Company. She also has a passion for sharing her love of various styles of dance and is currently teaching faculty at The Dance Centre, in Skippack PA and Dolly Haltzman Dance Academy, in Allentown PA. This is her third season with The Lady Hoofers.